First day of winter and it roars in with authority. We saw it coming and harvested some things yesterday while the weather was more amenable and then covered everything back up as best we could. 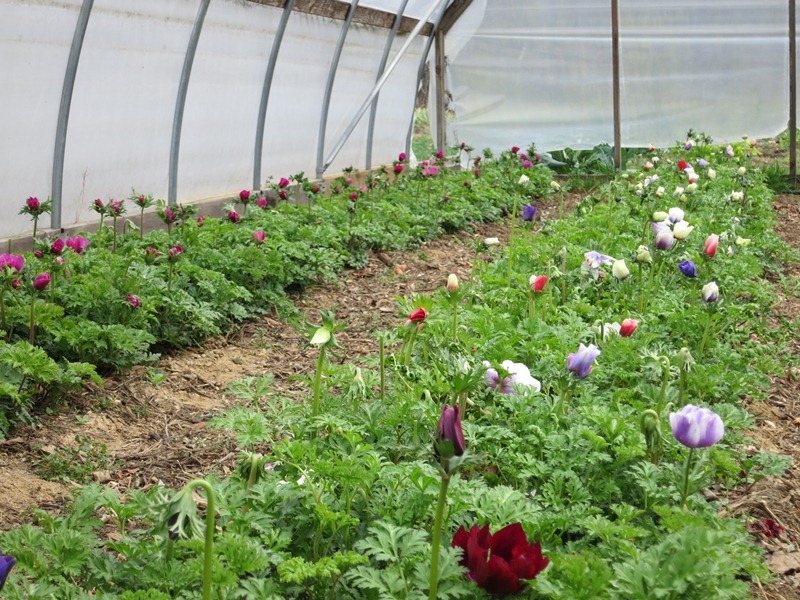 Most of the folks at market at this time of year have the majority of their crops under some kind of cover either a high tunnel (plastic) or floating row cover. 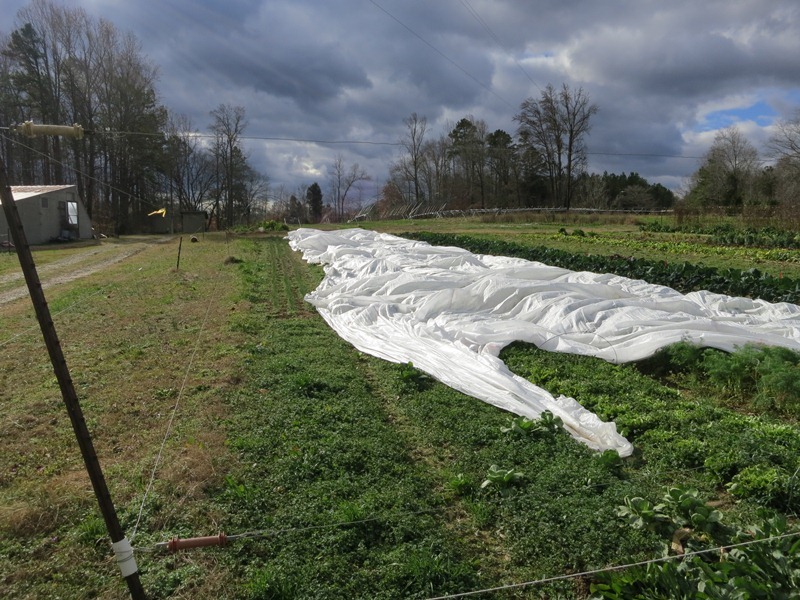 It is the “floating” part of row covers that make it a challenge in high winds like today. Designed to be light enough to lay on top of the crops or slightly elevated with wire hoops it also billows in the wind easily. There are no fool proof ways to weight it down but the best is either mesh bags filled with large gravel that you can almost throw into place or our favorite, bricks. If you are careful with securing the windward edge then it only takes a brick every 20 feet or so. These 30 foot wide sheets have a way of gathering the wind and we are not the only ones to have one become airborne and then land in the tops of the trees where they can hang for years. Hopefully it will not happen to us today. Last newsletter and market of 2012 and it has been quite an eventful year. The crazy warm winter and the continuing drought punctuated with both the record number of 100 degree days in a row and the Big Storm that brought the Big Tops down would be enough. We also had major changes in our routine with the closing of Magnolia Grill and then bringing Jennie on year round and a shift to year round production. Through it all you have supported us at market and in many other ways and we cannot thank you enough, it is what keeps us excited and engaged in what we do. If we don’t see you tomorrow at market have a great and enjoyable holiday season!